Anthologies can be appealing to both readers and writers. For writers, contributing to an anthology is a way to be published without all the work an author normally does. For the writer/editor who puts an anthology together, there are more things to consider than simply writing a compelling work. In addition to getting contributions, you must obtain rights and decide on any author payments or royalties, among other things. 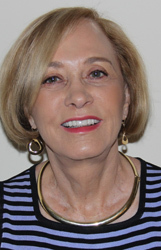 APWs Brenda Warneka will be speaking about the process of assembling anthologies—from the original idea to the completed product at the monthly meeting of the Scottsdale Society of Women Writers on September 26. 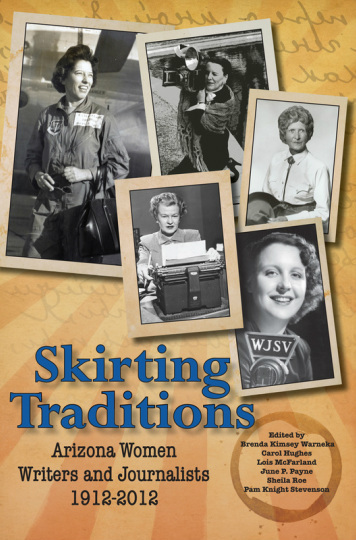 Most recently, Warneka was the project leader, overseeing the work of 18 members of Arizona Press Women, for the award-winning APW anthology, Skirting Traditions: Arizona Women Writers and Journalists 1912-2012. She is also a co-editor and co-writer of two other anthologies. Brenda will be the speaker for the September 26 monthly dinner/speaker meeting of SSWW, which will be held from 5:3-0 to 7:30 p.m. at the Chaparral Suites Resort in Scottsdale. Interested writers are invited to attend. Cost for non-SSWW members is $25, payable in cash or check. PLEASE – RSVP now to Patricia L. Brooks, president/founder, Cell 480-250-5556 or patricia@plbrooks.com. The Scottsdale Society of Women Writers gives members access to events of interest, a format for exchanging ideas, an opportunity to network with other women writers and authors, an alliance with businesses relating to writing, publishing, camaraderie and support. CHECKS or cash: Please make check payable to (SSWW) Scottsdale Society of Women Writers prior to coming to the meeting to save time at check-in. CHECK-IN: Please check-in between 5:00 and 5:45. The meeting starts promptly at 6:00. All those attending the meeting must pay for the dinner/room/speaker – cost noted above. Pick up your name badge at the front table and ENJOY a wonderful night.